Posted March 24, 2011 by dleyde & filed under Uncategorized. TRANSFORM YOUR MAILROOM INTO AN INDEPENDENT MAILING CENTER AND REALIZE ALL OF THE TIME AND MONEY SAVING BENEFITS OF FP MAILING SOLUTIONS! 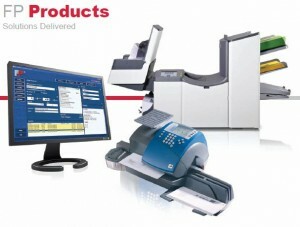 Exercise your options and achieve new levels of efficiency with FP Mailing Solutions. No matter the size or dimension of your mailing needs, we offer systems and solutions to getting your mail out quickly, easily, and effi ciently. Sleek, sophisticated designs; advanced engineering; and mailing solutions for businesses of all sizes provide you with many benefi ts, such as convenience; improved company image; faster delivery of mail; and, most importantly, postage savings. Customize pieces by adding an optional interfaced scale, additional catch trays, envelope sealers, and specialized accounting and mailing software. By providing a comprehensive line of high-quality equipment and exceptional customer service, we maintain our position at the forefront of mailing systems providers. If you are looking for guaranteed responsive service, coupled with the most advanced, cost-effective, and customized solutions, FP Mailing Solutions is the right mailing solutions company for you. Goodbye post office lobby waiting line! Adding a postage meter to your office is the perfect way to gain more productivity out of your day. Whether you’re mailing a handful of letters or thousands, an FP postage meter helps you get it all done, quickly, professionally, and conveniently. Best of all, our complete selection of meters for businesses large and small ensures you’ll fi nd the perfect fi t for your operational needs. Crisp folds, complete and correct envelope insertions, fill & start automation. FP folders and inserters automate the manually tedious task of stuffing invoices, statements, collection letters, billing, and marketing communications. FP’s complete spectrum enables you to find an efficient, cost-effective, and sophisticated way to prepare all of your mailing materials. Save time by automating and ensuring incoming and outgoing communications smoothly reach their destination. Engineered for durability, versatility, and long-life performance, our machines are ready to make quick work of all of your high volume mailroom chore. Software solutions provide you with the information you need when running a mailing or shipping environment. From postal accounting and reporting to rate shopping, our easily integrated software packages help you realize improved effi ciency and increased productivity levels in your mailing and shipping centers.